We're nearing the end of another year and that means its time for our favorite things post. This is now our seventh year in a row doing this post and I absolutely adore going back and reading old posts. 2017 has been an absolutely crazy/enjoyable/memorable year and putting together this post just reiterates to me how fortunate we both are. We've been blessed with so much and I hope to never lose sight of that. Alright let's do it, let's go through Jenn and my favorite things from 2017. I have to go with Big Little Lies. Loved the heroines in the series, and the story – it was suspenseful, unexpected, and portrayed a life I often envy and seek after, which was fascinating to see on the screen. I also loved all the female actors in it! – Nicole Kidman, Reese Witherspoon, etc. I could have binged watched that entire series in one sitting. Other notable mentions – close second: Handsmaids Tale. LOVED that show, but found it a bit depressing, which is why I did not rank it in the number one slot. It shed light on the kind of sexism that I believe is still prevalent today. Can’t recommend this show enough, but get ready as a woman to be both sad and fearful of a future that may not be as distant as we think. I also loved Narcos, The Crown, Sneaky Pete, Stranger Things – and a new addition worth noting, Fleabag. We watched a ton of amazing TV in 2017. I'm having a hard time not giving this category to either Game of Thrones or The Handmaid's Tale. 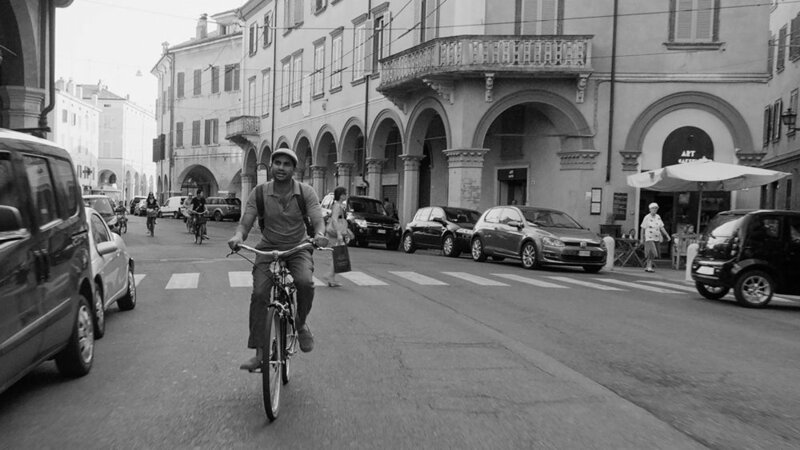 But when I think back on 2017, the show that I thought about more than any other was the second season of Master of None on Netflix. There are two episodes that I think should be required viewing, Thanksgiving and New York, I Love You. Those are not only the two best episodes of TV I watched this year but some of the best of all time. I always try to go with the underdogs, but John Oliver is just THAT good. Hands down Last Week Tonight continues to be the best in political satire. The writing, the stories they cover, and well John Oliver makes it truly an epic show. I would also love to give a shout out to The Opposition. I thoroughly enjoy that show, and it is reminiscent of the Colbert show – which got me hooked (and then ultimately Joel) to political satire shows, to begin with. We watched a ton of political satire this year. Who could blame us? We have a President who I genuinely worry is offer his rocker. We watched a lot of The Daily Show with Trevor Noah which got really good this year. We kept on with Full Frontal with Samantha Bee which was good for the most part, great at times, and sometimes off. We even got into The Opposition with Jordan Klepper which is basically the modern day Colbert. And of course, we loved watching YouTube clips of both Seth Meyers and Stephen Colbert rail against the Trump administration. But if I was going to say my favorite political satirist continues to be Last Week Tonight with John Oliver, and by a large margin. He's simply the best. He has the time to go deep on stories and does so. He's both hilarious and insightful. His year-end recap of a year under Trump was brutal, funny, and made me well up. It's crazy how far we've come in normalizing Trump's insane behavior and Oliver has done a great job calling that out. Hands down The Big Sick was my favorite movie of the year. I loved the actor / acting, the story, and overall it was a great romantic comedy that felt true to life in every way. Would definitely recommend to anyone who hasn’t seen it! Unlike last year where La La Land was far and away my favorite movie of the year, I didn't have a runaway this year. But the one that I would watch again today, and again tomorrow would be The Big Sick. We first saw Kumail Nanjiani on the show Silicon Valley which up until this last season has been one of our favorite shows on TV. This movie is about how he met his wife, which was tragic, hilarious, and moving. I love The Big Sick. It feels raw in a way most romantic comedies don't. Nothing is clean or easy, but it's a spectacular movie that I can't wait to watch again. I’m going to have to go with Once. But this should come as no surprise. Although I love Broadway, my favorite type of theatre are plays (and ballets and symphonies) – smiling at you Joel. But anyways, Once was amazing to watch. The music and the song is one of my favorites, and in general, I just loved the storyline. I would watch that play again and again. And I truly cannot wait for our theatre season in 2018! I love going to the theater. It's something that I genuinely look forward to no matter what is playing. The one play/musical that stuck with me the most in 2017 was Once. 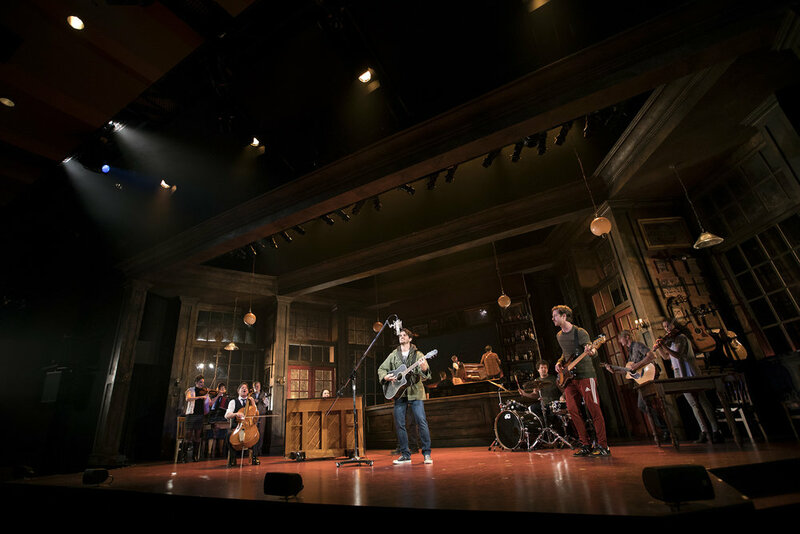 Based on the book/movie, its a stage play with live music and it was spectacular. Before the show starts the entire stage is like an Irish pub with everyone singing and dancing and enjoying themselves. Then the audience goes back to their seats and the play starts and for two-plus hours I was simply mesmerized. I couldn't get the song Falling Slowly out of my head for weeks afterward. I can’t remember when exactly I added this song to my Spotify playlist this year, but it has been a song that has been played over and over again on my drives to work. But what really brought this song home for me was when I listened to it flying into Siem Reap, Cambodia. We were flying over wetlands – an impoverished and deserted place, and I literally was almost brought to tears. This resonates with me so deeply, because I too have this longing and desire for more, to learn, to thrive, and am unclear what to do with my life, and am always looking for that line of sight – and that line of sight usually becomes the clearest to me when we are traveling, when I fully open my eyes to new things, new adventures, new ways of life. Traveling is my solace – my solid ground. I heard this song on the way home from work one day after I finished a book and I remember going straight to Spotify and replaying it and then later that night playing it for Jenn. This song hit me at the right time in my life. For me this year has really challenged me on my priorities, and what I'm giving up for the decisions I make. I adore this song. It often stops me in my tracks and makes me think, and what more can you ask for from a song? You may say this is recency bias, as I just started playing the game with Joel before Christmas…but I genuinely LOVE Hidden Agenda. It pulls you from the start with the story line. I LOVE murder mysteries (but am a baby unfortunately when it comes to watching or reading about them – so this came as a nice compromise). To make decisions together to solve a crime and have it come to life, with your actions affecting the outcome – it is just super addictive! Love it! There were a ton of amazing games this year. My only wish was I had the time to play them all. 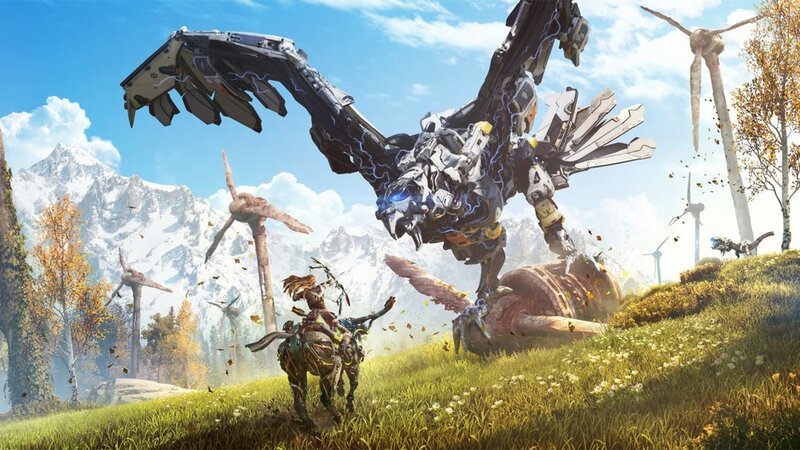 From those that I did play Horizon Zero Dawn was far and away my favorite. A beautiful vast open world with a great backstory, great gameplay, and amazing visuals. I played the game twice in 2017 and may even go back for one more go in 2018. I’m extremely ashamed to say I did not read...or let me clarify, finish any book this year. What I can say is this is NOT happening again next year, and it is a personal goal and commitment of mine to read more. Thanks to Joel, I already have two books on my nightstand ready for me to wholeheartedly consume. Because Jenn was unable to pick a book for this category in 2017 I am going to use her pick to pick two books because I can't decide which of the two is my favorite. I also love them for different reasons. 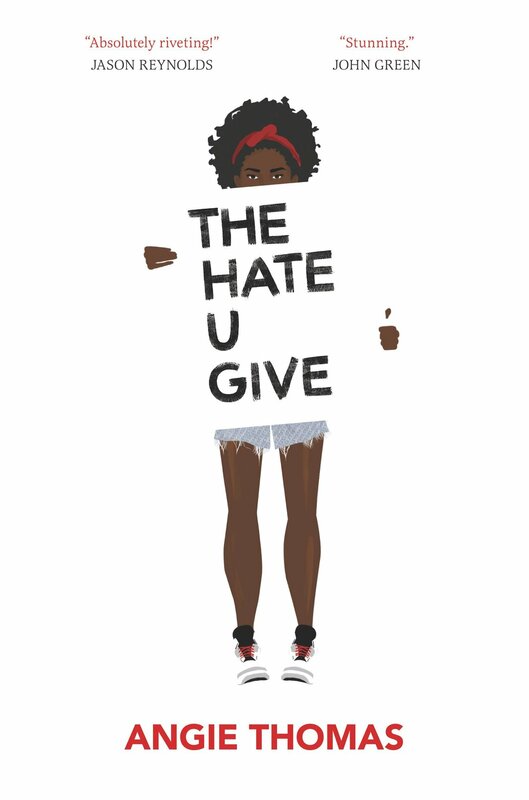 The Hate U Give was the most important book I read this year. It's a powerful story of an African American girl and the day-to-day struggles she faces living in America. Think race still isn't an issue in America? Well first off your crazy if you do, but if you do believe it isn't an issue read this book and tell me if you still do. The second book is Beneath the Scarlet Sky which I adored from start to finish. It's about a young Italian boy in WWII who spends time savings Jews by helping them escape Nazi-run Italy to Switzerland. He later joins the Nazi's as a spy for the allies and all sorts of insanity happens. A book that I won't forget, and can't wait to see the movie of. Sorry, but I have to pick two in this category because I can’t pick just one. …and then it did, at my other favorite meal: in Tokyo at the Mandarin Oriental sushi restaurant. I literally thought I died, or I was living in an alternate reality, or perhaps a dream. Me – Jennifer Szerlip – was on the 40-some floor of the Mandarin Oriental in Tokyo at a private (seating for 10 tops if I remember correctly) restaurant, watching chefs right in front me make handmade sushi, seated next to the love of my life, while staring out at the Tokyo skyline. You only see that in movies or on TV, and there I was. It was a rare moment where in that moment, I knew the gravity of it, and wanted to bottle each and every second to make it last for just a little while longer. We've had some out of this world meals in 2017. Honestly, in terms of the best food, I'd say The Musket Room in NYC was the best. But if I was to say the entire experience it would be Sushi Sora at the Mandarin Oriental Tokyo. That is a moment I will never forget. We went to the top floor of the restaurant. I got a flight of sake and we had so many amazing courses of sushi I've lost count. We ended the night with after-dinner drinks in the bar and walked back to our hotel basking in the beauty of one of the best towns in the world. Vacations. Each and every one of them. I LIVE for vacation, and going on those adventures with Joel make every single dime worth it – and honestly worth even more than the monetary cost itself. I would like to go on a tangent a bit on this one, actually. Or perhaps stand on my soap box more like it. Joel and I have been blessed – no extremely blessed more than I ever think we deserve. And we have been fortunate to buy a lot of things – a house, luxury cars, expensive clothes and furniture, high-end electronics….and NOTHING…seriously NONE of those things even come close to the happiness traveling the world gives me. I know the money we have spent on vacations could have been used to buy a new, better house, nicer cars, more clothes, etc. But none of those things bring me the kind of joy I get arriving at LAX knowing I’m about to embark on an adventure that I will never ever forget. Pictures and stories…they are just a SMALL glimpse into seeing the places we have seen and doing the things we have done. I would give everything I had…EVERYTHING to travel the world, and get lost in remote villages. We bought a TON of Apple products in 2017 and they're all amazing. All of these purchases happened in the second half 2017. Started out by upgrading Jenn's iPad Mini to an iPad Pro with an Apple Pencil. 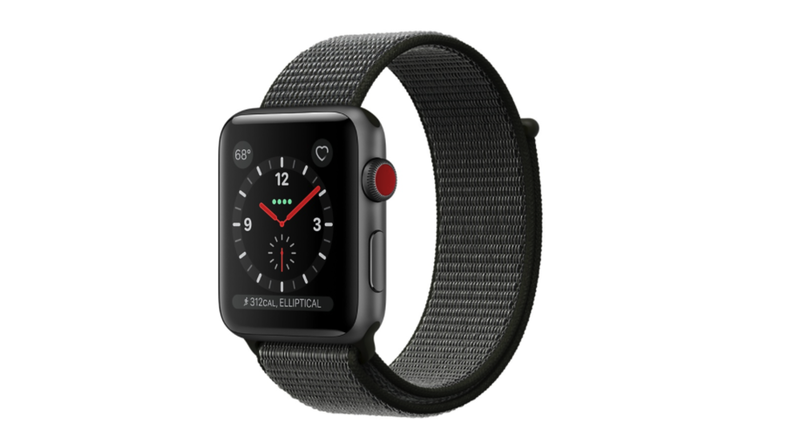 My Apple Watch sadly broke after nearly three years of daily use and so I purchased a new Apple Watch Series 3 which I adore. And then in November, I got the brand new iPhone X which I think is one of their best iPhone's yet. So yes I love all of our Apple stuff. My iPhone. I am sad to admit it, but I can’t live without it. I am constantly on it, so much so my hands and elbows sometimes start to hurt. It has everything I want – shopping, life hacks (when I go on those kicks), social media, and what I love to do most – interior design and vacation dreaming by surfing the web and my favorite apps. I can’t imagine a world without it. It might be a surprise to some but the iPhone X was not my favorite electronic of the year, it was actually the Apple Watch Series 3. I just find it to be insanely useful. It keeps track of my daily activities, gives me reminders and notifications, and I think is rather stylish. It's something I have on every waking moment of the day and love it. This one is SOOO tough. It is the toughest decision in this category I have ever had to make – but looking back and writing this all out, I am going to say either Cusco or Tokyo. From the hotel, to the food, to my comfort level, to the adventures and the sights we saw, everything about both of these destinations were perfect. I would do them again and again in a heartbeat. I look so fondly back on each of those vacations stops, and reflect on nothing but happy memories and adventure. Not to say I didn’t have favorite “sights” as outlined in my favorite memory, which is totally different, but each of these places – well they will always have a special place in my heart. And I hope Joel and I go back to Tokyo one day soon. And wait – one more thing. Our trip to NY. It made not have had all the bells and whistles of the others, but we got to see a bucket list for Joel – the US Open. We also got to do our favorite things – shop and eat great food, and just hang out with each other. Sometimes I feel like this vaca gets lost in the shuffle, but it was INCREDIBLE. And I still pray with all of my heart one day Joel and I live there, even only if part time. I absolutely adored going to Tokyo. It's a place I've always wanted to visit and now having been I could see going back more than once. The food is great, the city is insanely clean, and the people were all very nice and helpful. It was the place we were at longest on our Grand Adventure and even then I could have had a couple more days to enjoy more of the great food, shopping, and culture. JW Marriott Hanoi. With the St. Regis in Bangkok a close second. The ambiance, the friendliness of the staff, the location, the rooms, the food…everything about them was 5 star. I don’t mean to say this in a snooty way, but there aren’t that many hotels that I walk into and feel “inferior” or feel as if “I’ve made it” – but when I do, like at these hotels, I admire it – not because I want to become snooty, or entitled. Far from it – but it gives me a personal sense of pride for all my / our hard work, the late nights, the long weekends… to know they paid off, and that I do belong, and in some ways – that I have made it. It was sadly the hotel that we were at for the shortest amount of time, but the St. Regis is everything I want in a hotel and then some. It didn't hurt that the hotel was decorated for the holidays as well. Everything was just elevated. The small touches in the room were perfect. If I was to pick a second favorite it would be a tie between the JW Marriott in Cusco and Park Hyatt in Cambodia. Memory 1: Riding Hiram Bingham from Cusco to Machu Picchu. I had always wanted to have a moment like the one I saw in Titanic, when Rose was boarding the ship for the first time. Boarding the Hiram was in every way just like that. You step aboard and you are transported into another world – an old-world kind of luxury, where the affluent would board trains to exotic places, and talk about politics, life, religion, and the pursuit of happiness. That is exactly how riding that train was, in every way. And riding it with Joel, to see the look on his face – one I will never forget, of pure joy, gratitude, and wonder. I will bottle that for the rest of my life. I can still smell the food, feel the wood on the train, hear the noise from the tracks and accompanying music. I can see the landscape, the homes, the history that we passed through to get there, and the feeling of knowing this was a once in a lifetime experience. I remember disembarking the train and buying sunscreen, bug screen and a bag in typical Joel and Jenn fashion, driving on a bus that could fall off the cliff at any moment with the lady next to us looking as if she was going to pass out. I remember Machu Picchu and the pure joy it brought me to really be there. If you could dream up a perfect day – that was it. Memory 2: Seeing Siem Reap / Angkor Watt Temples. I’m not going to lie, the day started off rocky, and we were 15 days into a 27-day trip. I was exhausted, I was tired, and I was even a bit homesick. I was also dying off heat, thirsty, and was sweating as if I had just jumped into a pool. But those temples. That place. It leaves you speechless. I can’t describe it, the video I made doesn’t give it justice. I honestly have paused twice now to reflect and write about it – and I can’t sum it up in words. It’s personal in a way that I can’t describe. All I can say is – go there, live it, breathe it, see it. And come back a changed person. I’m not “going to front” as Trevor Noah loves to say. Like every MAJOR attraction in the world, it’s busy, and it is a bit touristy – BUT to say I have been there. To know I have touched the marble, walked the grounds, stood in front of the fountain…well I have the biggest grin just thinking about it. And yes – it was amazing, in fact even more beautiful in person than in pictures. But why it’s a favorite memory of mine is because of two things – 1) I accomplished a goal/dream. I have always wanted to go there, it’s been on my bucket list for as long as I can remember, and I did it. Praise God I lived to see and write about it. I never thought I would, and I did! 2) I was in freaking India! When I was young, if you would have told me I would be there at 30 with my hubby, I honestly would have thought you were joking. I may be a broken record, but I am humbled by how much God has blessed us, and the ability to say we were there. It was a long road to get there…in more ways than one. But being there. Well, it is how I imagine heaven will be like. To sail on a private boat with Joel and watch islets float by, and fisherman in small boats in the distance. It was purely magical. I don’t know how you top an experience like that one. Honestly, during it, I never even thought I would make it home, let alone our hotel. I was terrified, but as my two favorite travel quotes would say: “If at some point you don’t ask yourself, What have I gotten myself into? Then you’re not doing it right.” And “You can never cross the ocean unless you have the courage to lose sight of the shore.” Well, then, this memory encapsulates both of those feelings perfectly. No doubt in my mind that my favorite memory of the trip was boarding the Hiram Bingham train in Cusco to take us the four hours to Machu Picchu. That is an experience that will stay with me far past 2017. The train was beautiful, the surroundings were perfect, and the anticipation of getting to see Machu Picchu while enjoying an amazing gourmet meal with Jenn was perfect. My second favorite might just be the train ride back from Machu Picchu to Cusco. The other memory that I don't want to ever lose sight of is driving around Tokyo in our Mario Kart costumes. I don't know if Jenn and I have had a better time then those two hours. I’m humbled – by what we have and what God has given us. I’m enlightened – by the places we seen, the people we’ve met, and the things we have done. I’m hopeful – for the years ahead and the adventures we have yet to embark on. I’m grateful – for my best friend, and the man who has stood by my side for the past 15 years, and who I love more each and every day to the point it almost hurts. I’m content – and I pray that peace carries on into 2018.